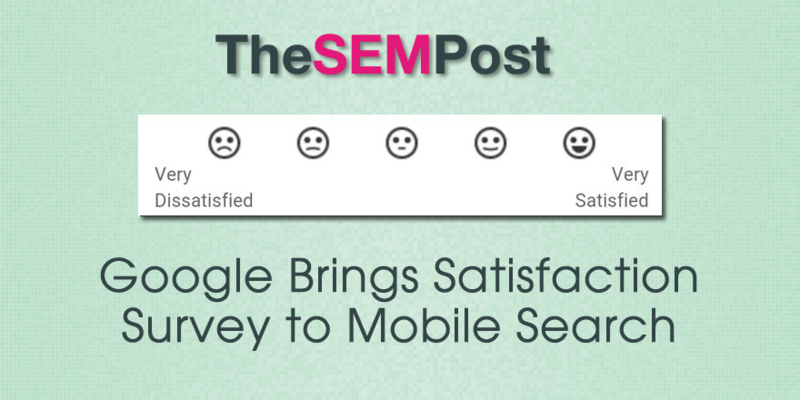 Google is now running satisfaction surveys for searchers who are searching from a mobile device. 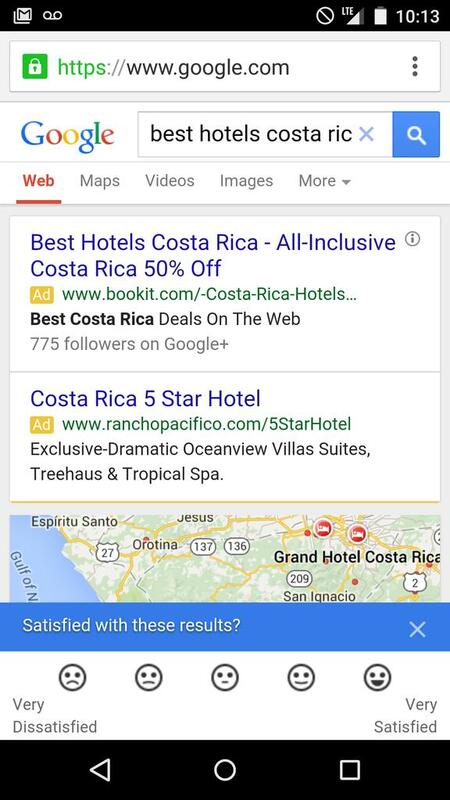 Rand Fishkin from Moz spotted the survey in mobile results, remarking it is the first time he has seen it on mobile. It coincides pretty nicely with the Google mobile friendly algo, which should have finished rolling out by now. Google has run similar satisfaction surveys on desktop over the past few years. The local search forums has a screenshot from a desktop one that was shown late last year. It makes sense that Google is adding them to mobile search results. With the push they have been making to get as many websites on board with being mobile friendly for a better user experience, getting feedback on the search results now that mobile friendliness is a ranking factor is good to know.